It was a wonderful year full of new experiences and risk taking, for both the students and myself. At the end of each year, I always begin to think about next year. What went well? What will I continue to do? What will I abandon? What will I redesign? And the ever so popular...what was I thinking? So, I've started with a blog, created a few freebies and starting looking at what engaging work I have designed for my students this past year. Here is a link to my first freebie on Teachers Pay Teachers. 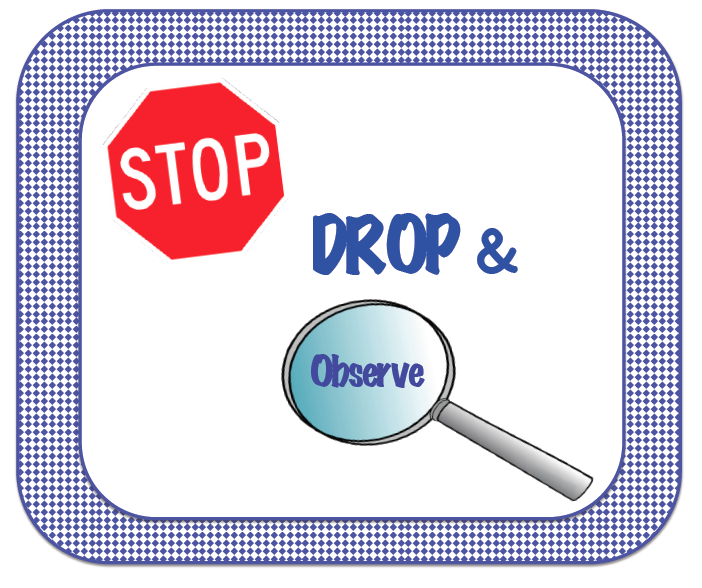 It is called...Stop, Drop and Observe. 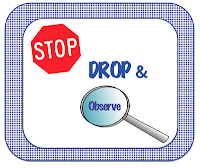 It is an activity on making observations.